Have you heard the phrase ‘we are all one world’? That is truer today than anytime in history. We are able to board a plane in Seattle at 9:00 a.m. and disembark in London 8 hours later or Istanbul 12 hours later or Beijing or Sydney. Air travel has brought us much closer together. It has also made our travel choices more mystifying. Where would you like to go? What would you like to see or do? Are you sure of activities you are passionate about, but unsure of your destination? Or perhaps you’ve always wanted to explore India ~ or Africa ~ or Peru, but you have no idea where to start? Tell us what interests you and even if you don’t have a specific destination in mind we will make suggestions and help you narrow your choices. We know the world, and we are ready to assist you. There are more cultural excursions, historical places, adventures, museum explorations, relaxing beaches and elegant hideaways than most people realize. We are enthusiastic about working with you, and ready to share our knowledge and expertise to help you realize a lifelong dream or design a unique adventure you never would have thought of -We are here for you! We are all experts in different destinations. 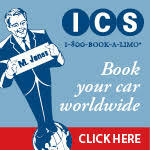 We have gathered descriptions of a wide variety of travel choices. Additions and updates are always in the works, so check back often.